This morning, we got a closer look at the world in The Legend of Zelda: A Link Between Worlds. 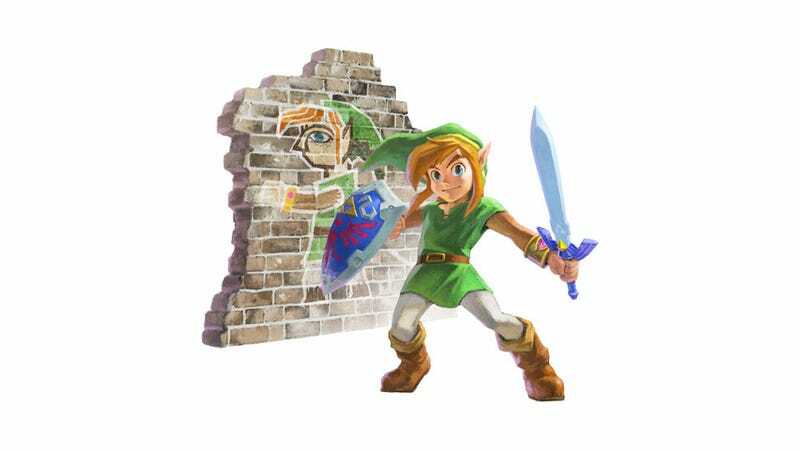 What most people didn't notice, however, was that there was a significant change in Link's character design, concept art wise—according to Tiny Cartridge, Link seems to have gotten goofier between now and the last time we saw him. Heh. Well, okay. The game itself, of course, seems to be the same remain the same; the change is only for the concept art. Not a big deal (the game's art doesn't need to be serious or anything! ), but still, what do you think? Was old Link better, or are you fond of the new, goofier Link?